Worn Springs Are No Good! We work with a huge selection of different types of springs, from oil tempered and galvanized ones to extension and overhead torsion springs. With such an impressive selection, you can be sure that our team has the exact part you are looking for, and the skillset to fit it correctly. Our team can assist you with extending the life and functionality of your garage door springs by regularly inspecting them for any damages and maintaining them to preserve their condition. If it has been a while since your last garage door checkup, give us a call and let us do the work for you. When your springs become damaged or warped from excessive use, we may be able to repair them for you depending on their condition, which will push back the need for expensive replacements. Call us now to find out more. 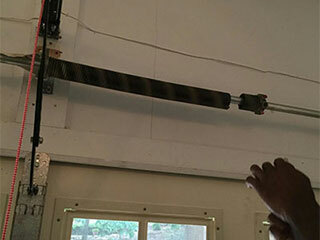 So, take advantage of a garage door spring repair team that wants the best for you and your garage door. Contact a representative from Garage Door Repair Jonesboro to find out more.